Welcome back to another Flourishing Entrepreneurs interview. This series introduces you to incredible women who have started their own businesses. I'll talk with them about how they got started, what jobs they were doing in a past life, what the voice inside their head tells them and dig into the resources and tips they can offer you on your entrepreneurial journey. 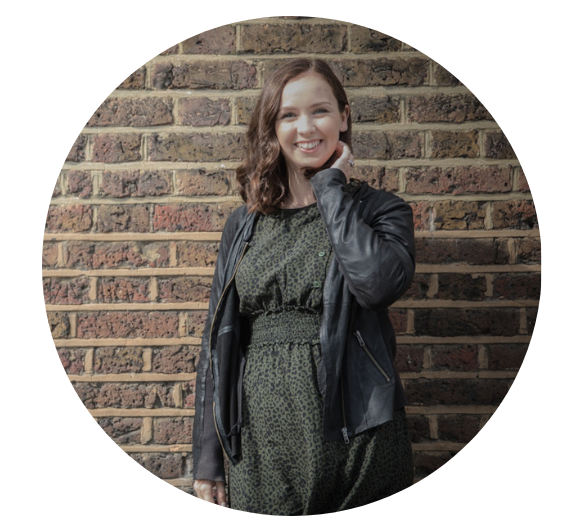 Today I’m introducing Flourishing Entrepreneur #6 Camilla Dempster, Personal Trainer and Sports Massage Therapist - and a whole lot more. My name is Cam and my business is NL Perform. Job title is a hard one to put together. The easiest way is to say that I’m a Personal Trainer and Sports Massage Therapist. But if I were to go into more detail for you to really get to know you I’d say I teach women to ditch the binge/guilt/restrict cycle and manage pain. I do that with a concoction of ANF Therapy, life coaching, personal training (both online and in-person), brunch events and retreats. I work very much holistically and help women boost their health and wellness with a variety of methods. What were you told about work growing up? What career advice were you given? What jobs were recommended to you / what job did you do before you started this business? So I actually wanted to be a Marine Biologist (thanks to the Little Mermaid) which I did follow through with until I had to pull out of university because I was admitted to hospital for unknown but debilitating health problems. Perhaps linked to too much alcohol at fresher’s week but ultimately I’d gone to university without much more thought than it was what I was supposed to do. That time in hospital allowed me to find what felt more right to me and at that time it wasn’t about studying the worms within the mud in the Bangor weather and rain. Before starting this business I’ve been in the field of health and wellness for over a decade. After university I qualified as a personal trainer and began working at David Lloyd where I managed to ‘climb the ladder’ into group exercise management at club level as well as education at head office. At a point during the recession I made the choice to move away from the UK in search of warmer, more lucrative pastures and set up a gym in Kuwait before returning to the UK in December 2017 to set up my current business. I’m not sure I had many jobs or careers recommended to me, more so left to find a way on my own. Perhaps that’s because of my stubbornness or innate drive. Regardless I’ve been super lucky to find a path that I love in which I can assist and support others overcome health difficulties. How has your mindset changed around work over time? I think the biggest shift in mindset I’ve taken is the one between being ‘employed’ and ‘safe’ and self-employed and ‘unsafe’. Where its easy to feel secure in full time employment I’ve found that actually I have far more control over my lifestyle and income now that I’m self employed. I’ve always felt a ceiling as a personal trainer because traditionally time is swapped for money. The only way to progress seemed to be to gain a managerial position, which although helps the business help more people. Doesn’t allow for a sense of directly and personally helping people. Taking my business online and serving people in a manner that I enjoy with events and small group training has allowed me to work ‘smarter’. Now instead of trading time for money I trade expertise and skills for money. It’s more scalable and therefore hasn’t a ceiling. I feel as if on this question I’m cheating slightly as obviously my business is within health so a lot of my time is spent in the gym, nutritious food and networking with like minded people. So I have a leg up. However the switch between specifically working as a trainer in the gym and working more from home initially caused a wobble in my own health. As anyone setting up a business will know, often the business comes first in terms of priorities and health slips down that list. One of the tools that I use with my clients as well as myself is pre-framing time and priorities with the year. For example if you know that there are 7 main areas of life - wealth, work, health, adventure, family, relationships and charity. Picking throughout the year which become your top two or three priorities within each quarter can really help. Taking my 2018 as an example, the first quarter’s top priority was work and family. The second became relationships and wealth. The third had priorities of adventure and health and now the final quarter is health and work. I find doing this each year and planning in times that health is the priority according to the natural flow of your business can really help. It also reduces the pressure and overwhelm of trying to do it all, all the time. Health to me is about more than diet and exercise – it’s about your enjoyment of life, mental health and nourishment. My relationship with food is healed. It hasn’t always been that way – between the ages of 15-25 I was bulimic and has factored majorly in what I’ve created in my business. As I’ve said, I teach women to ditch the binge/restrict/guilt cycle. Did you know that 50% of diets (if not more that are unreported) result in eating disorders? That fact doesn’t shock me: it upset me. Personal trainers normally promote diet and meal plans which perpetuates the problem. I do not believe in restriction in order to augment change in the physical appearance of a body. Food to me now is about fun, connection with people and nourishing from the inside to outside. Which is what my Brunch events are all about – making connections with like minded people and focussing on removing diet culture. I freaking love a good roast dinner in the winter. And in the summer it’s about a BBQ for me. The thing is, to ask me to pick a favourite food is like asking a mother to pick a favourite child. I love all food. The reason I’ve picked those two right now in particular is because they’re both about sitting around a table and having a good old chat with your friends and family. Emotions and connections have a huge beating on how you digest food. Imagine eating a meal in the evening with your partner at the table having a chat whilst you do. Then imagine eating the EXACT same meal the next day from a Tupperware, stressed at your desk. Does it feel different? The likelihood is that you’ll enjoy and digest the prior much better. And probably end up bloated and heavy from the latter. My biggest recommendation therefore is this: connect over as many meals as you can and most of all slow down and don’t rush your meals. I’m organising a Wellness Retreat in 2019 which is very scary because there is high monetary investment as well as a large amount of energy in terms or organisation and marketing involved. When we can pause, take a step back and understand the underlying emotions it’s much more simple to put into place strategies to overcome the limiting habits. So a common one here for my clients in Transformation Tribe is that when they’re stressed at work or at home they eat emotionally. This again comes back to fear – the fear that they’re not capable at work or that a relationship isn’t working or there is a feeling of loneliness. When they understand that underlying emotion, for example loneliness, they put strategies into play to assist them overcome the loneliness first. Like sending a text to a friend when they feel down, or calling a friend. Or making a plan to go out for a walk then they feel like emotionally eating. I often say and truly believe that the smallest, seemingly inconsequential changes, have the BIGGEST impact. My version of success in part is assisting thousands of women never diet again. As well as personally feeling safe and secure at home and in my relationships. It feels like a small goal but at the same time of the utmost impact. I think we can all get so mixed up in success relating to financial gain. And whilst money does make the world go round, to me success is founded more in the relationships I can cultivate and how I feel within myself. Self care is about protecting ‘my bubble’. I’m an introvert so I get drained easily by spending time around lots of people and providing empathy to my clients. Whilst I love creating events and giving people support I’m very aware that all of that is giving out energy. I believe that self care is energy in before energy out, so that means I look after me first before I go ahead and so anything else. So for example if I have an event at the weekend, I will be having a half day on Friday to have a nap in the afternoon. It also means that I will either go to the gym first thing or take my dog out for a walk – to spend time alone prioritising ME before I go to give out energy. Sometimes it’s even just as simple as stepping into the shower with the mindset that ‘this is for me’ rather than ‘OMG I’ve gotta shower ASAP so I can get to work to serve others’. Self care on Instagram gets portrayed as massages, travel and face masks – but there’s not always time for that. So for me, self care looks like the same stuff that I do each day but with a different mindset. I absolutely loved ‘The One Thing’ by Gary Keller. The simplicity of the book and focussing on one habit per day that’ll make the biggest impact is incredible. If you havne’t read it yet, please do! I’m going to give two here because again, I feel like you can’t ask me to pick a favourite child. Don’t compare your right now to someone else’s 5 year progress. When you’re new it’s easy to look at others and wish you had all that they had. But the joy is in the journey and when you expend energy wishing you were like someone else you’re literally draining energy from your own dream. Head down, focus on you and how to serve your clients in the best possible way that you can right now. Collaborate whenever you can. Find people who are small growing businesses also and work with them to cross promote each of your businesses. Not only will you both benefit from greater visibility but you’ll also not be staring at a wall (or your dog) losing inspiration. Community breads creativity. Being a part of a community where people are making moves will only push your business further.